I hate keys. They scratch up my phone and I just hate fiddling through them all. Fortunately, the day is nearing that keys won't be a significant part of our lives anymore. Did you know that there are actually a bunch of keyless door locks for your home already available? Once the domain of high end apartment buildings, keyless entry door locks are now becoming a big deal. The best keypad and RFID door locks are actually stronger and more secure than their manual, keyed counterparts, and they give you a lot more versatility and peace of mind to boot. There are a whole jumble of them online these days, and it's a tough thing to sift through. Fortunately for you, I spent half a year researching the best RFID and keypad door locks for a business I worked for, so I've already done the legwork for you! This article will outline five amazing products, and I'll go over what makes each one unique and why it was chosen for this review. Let's get started. What the heck is an RFID? RFID stands for radio frequency identification. Each tag contains a set of data, that transmit data to the interrogating device. Some of them require batteries, but many do not (they can gain power from the device's field). The advantage of an RFID tag is that it can be embedded in plastic. That means you can carry a handy card or tag around with you, and it'll stay safe. Just pass it in front of the scanner at the door, and it will open. RFID, biometric, keypad? What technology should I use? If you've done any amount of searching online already, you know that when searching for the best keyless door locks you'll be bombarded by choice. There are a handful of viable technologies all vying for your dollar, and they all have their individual pros and cons. I'll go over them here. Biometric: A biometric keyless door lock system uses one of your genetic hallmarks as a means to open and lock a door. 99 times out of 100, this means a fingerprint scan system. Fingerprint door locks are amazing, and I've actually written an article exclusively on them. They're just one viable option among many, however. Keypad: This system is a little bit older, but it's tried, tested and true. An electronic keypad is programmed with a number of codes for entry. Type in the right code and you gain access. Simple and elegant. RFID: This is closer to a traditional key system, in that you need a FOB or card in order to open the door. Scan your card at the reader, and the lock opens like magic. 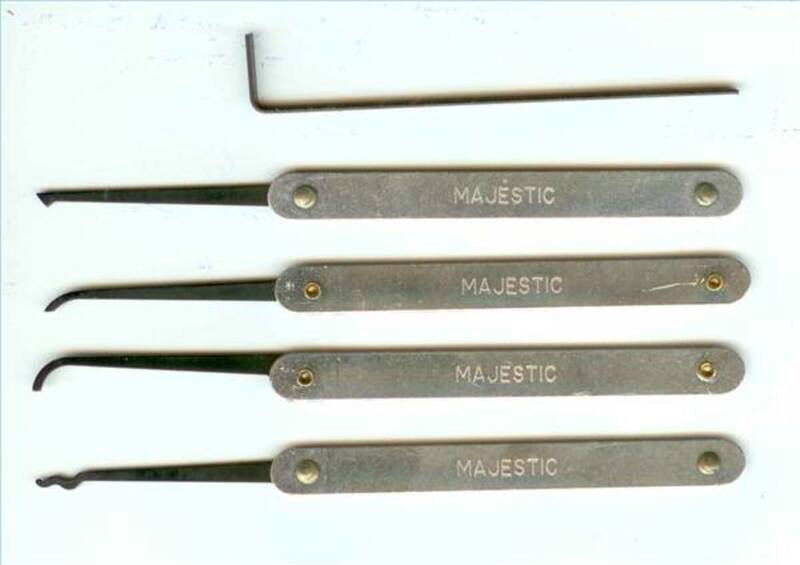 These are a lot less fiddly than a traditional lock. Kevo: One of the first (and best) iPhone / Android deadbolts. There are a number of smartphone compatible keyless door locks and deadbolts about to hit the market, but one of the first to hit was the Kevo. It's a very slick and smart system that does away with the need for both keys, codes and RFID tags. The Kevo uses your iPhone as a virtual keychain, and lets you open and close your front door lock with the press of a button, from anywhere in the world. In fact, you don't even have to scan anything or press a button when you're heading home. The Kevo uses advanced Bluetooth technology to detect your iPhone's presence, and automatically unlocks the door when you're within a short range. Think about that! If you don't have an iPhone, or if not everyone in your household does, that's not a problem! The Kevo makes use of RFID technology and will open the lock at the wave of a card. And beyond that, there's a traditional key in the center as well, so you can get in no matter what technology you prefer to use. You can make use of the Kevo App to open or close the lock from anywhere in the world with internet access. It's really powerful that way. The system also works with iPod Touch 5 and iPad 3. They hope to soon include other smartphones and devices too. 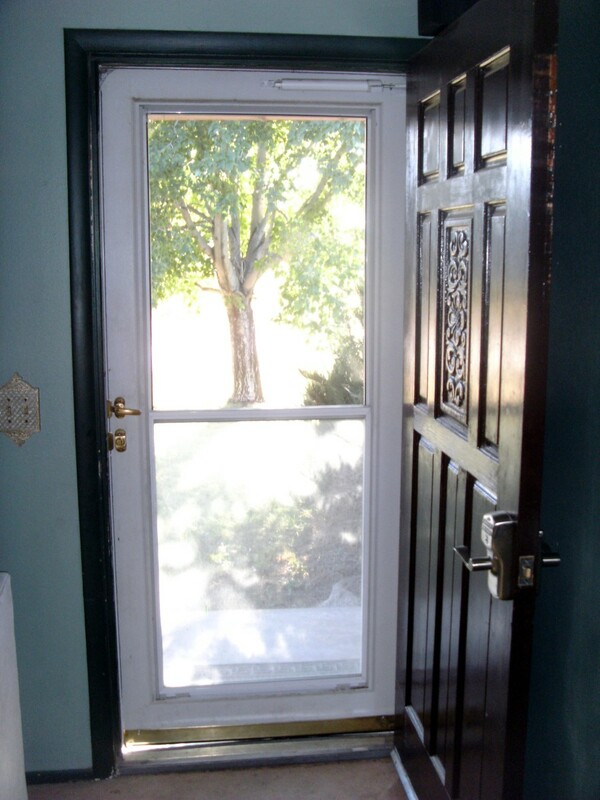 It installs in a traditional door lock without a ton of jury rigging and modification. Runs on four AA batteries. This is definitely one of the best keyless home door locks around, and I'd give it hard look if you own an iPhone. Samsung is probably better known for the television sets, but they are a huge company with a vast array of products, including a significant foray into home security. Their EZON series of locks, door handles and deadbolts has really made an impression on me. Not only is it sleek, sophisticated and secure, it's also really cool and user friendly. This particular model is a deadbolt with a digital keypad attached to it, but it's also programmed to accept input from RFID tags, so you can use an appropriate FOB or card to gain access if you don't feel like punching in numbers. Technically speaking, this is a sophisticated device. The screen is backlit, and when it's not in use the screen goes black so the keys aren't always visible (also saving you battery life). Yes, they are battery operated, but they last a long time. There are some security advances here that set the EZON system apart from many competitors. For example, there is a built-in system that will unlock the door in the event of a fire, and there is an emergency unlock procedure. The system is resistant to unauthorized entry: it will lock the user out for 3 minutes if they attempt a code 5 times without success. One of my favorite features on this powerful little keypad door lock is the code anonymity feature: it requires you to enter two random numbers before you enter your code. That prevents someone from finding fingerprints on the pad to break in. It comes with four RFID cards standard, and you can order more. It's a bit complicated to install, so I'd suggest hiring a contractor to do it for you. It's also a self-contained unit, so don't expect it to wire up to an existing security system. Schlage is well known in the lock and security industry, and they have a full-featured lineup of powerful electronic door locks, including keyless entry and RFID offerings. I wanted to display this particular lock because it's really versatile and has a lot to offer. The locking mechanism itself is top notch. It's strong and built with reinforced components, and it's rated Grade 1 on the ANSI hardware standards system, so it's about the strongest you'll find for a residential application. This lock is loaded with neat features. The motorized deadbolt will re-lock after being left open for 30 seconds. You can disable this feature, but it's nice to have if you tend to be forgetful. The unit also has three built-in alarm sensors, that let you know when the door opens, or when forcible entry occurs. It's a deterrent and a warning system all in one. The lock also happens to be Nexia compatible, which is an online system for entry management. It means that you can open the door remotely using your Nexia portal, you can monitor comings and goings online, and you can allow certain codes to work at certain times (for the housekeeper, for example). You can effectively open the lock with your smartphone this way, but it requires a paid Nexia account. It's a feature rich keyless door lock for your home, and if it had RFID functionality as well it'd be at the top of my list. I wanted to offer an example of a full-featured, biometric door handle. This high tech handle and lock system from Anviz features just about everything you could want. The brushed chrome exterior looks great, but beyond that it's one of the most secure handles around, with a reinforced steel frame and a lock body that's built to withstand forcible entry attempts. The system is RFID compatible, meaning that with a key card you can simply hold your tag near the unit and the mechanical lock will automatically disengage. It's really handy if your hands are full of groceries and you can't be fiddling with a key. The crown jewel of this unit is of course the biometric capability. There is a small fingerprint scanner just above the door handle, on the outside. To gain entry, simply press your finger flat against the scanner, and the lock will open in about 1 second. You can program in up to 200 unique fingerprints, and there is a proprietary system that lets you manage the fingerprints in the database, adding and deleting them down the road if need be. It's battery powered, but they last for months. In the event of power failure, you can use a 9v battery to gain access again, or use the emergency backup key. I should mention, this keyless door lock should be compatible with most traditional doors, and it won't require a ton of wiring or renovation. If you aren't handy do call in a contractor to get it done right, but it's a fantastic system; you won't believe you lived without it all this time. Arrg! Technological Confusion! Which one do I choose? When you're hunting around trying to get the best keypad or RFID door lock for your money, it's easy to get overwhelmed by the choices and options, especially in light of the fact that technology is continually changing and there's bound to be brand new companies hitting the street soon. 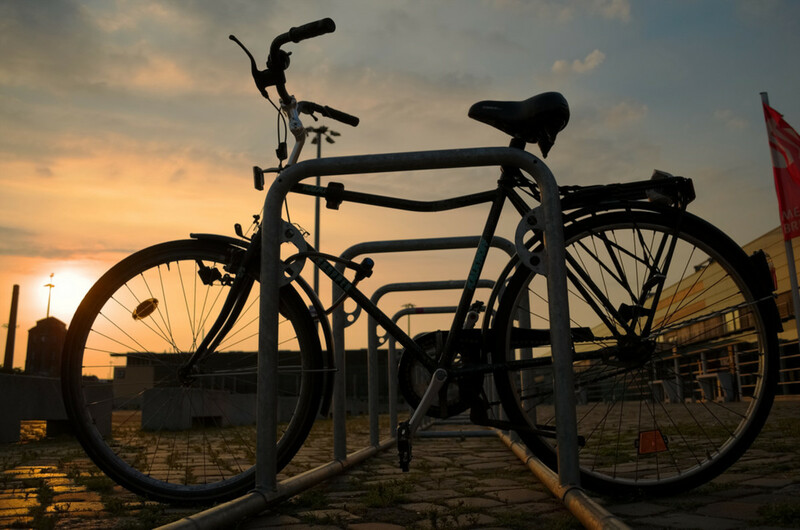 The best way to go is to analyze your habits, and choose the lock that fits your lifestyle. 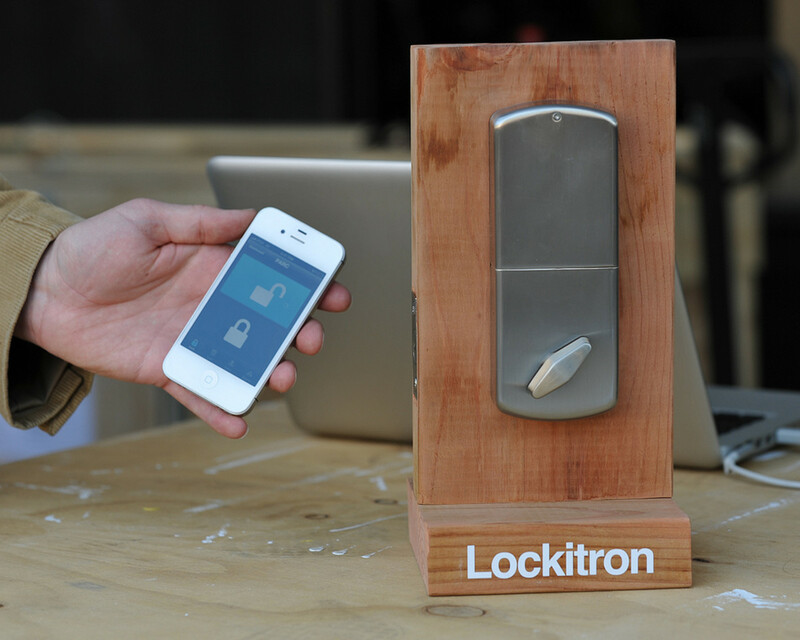 Do you have an iPhone or smartphone, and would you like to use it to manage your locks? If yes, then consider the Kevo, or other products on the way like the August Smart Lock and the Lockitron. 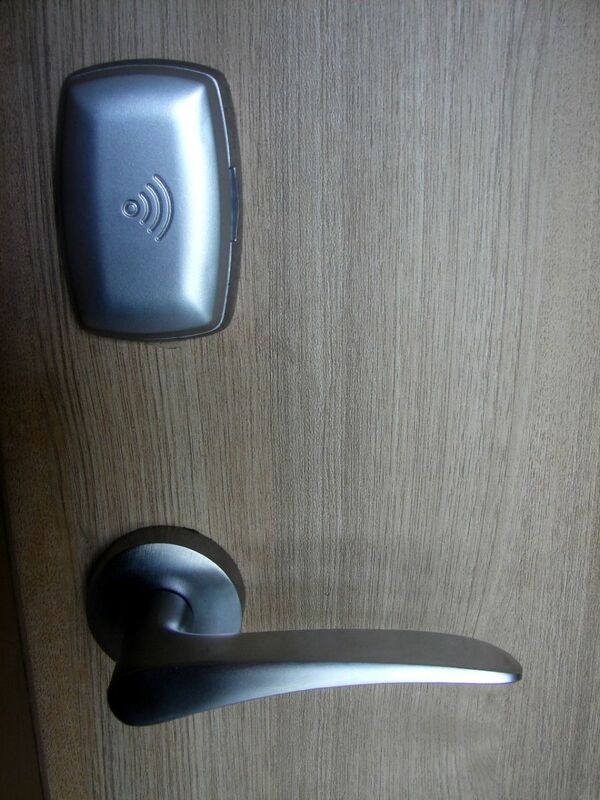 Do you want keyless access for lots of people? A keypad deadbolt might be the best option, since you can share the codes easily over the phone. Is ease of entry important to you? RFID deadbolts are pretty easy to use with a single swipe, but the Kevo offers truly hands free unlocking if you own an iPhone or Apple device. If you're still unsure, please feel free to post a comment and I'll try to help you narrow it down further. Thanks for reading! Questions about these handles and deadbolts? Was glad to read this. The wife and I just started thinking about getting some of these so this was a good primer for us. Thanks. This was helpful. Are you going to do new updates soon? Multipoint conversion to an electronic/keyless system is very expensive and in most cases takes a specific lock your multipoint lock manufacturer may or may not have developed for electronic entry. You would have to replace the lock currently in your door with a new multipoint lock specifically made for electronic/keyless use and then purchase the electronic equipment from the vendors your multipoint lock manufacturer's work with for electronic equipment which will work with their equipment. These systems begin at $2500. Any update on multi point locks and compatible automatic deadbolt systems? My front door currently has 2 locks, the door knob and deadbolt. Is there a keyless system that would lock and unlock both of those? Most of the solutions I see are only keyless deadbolts. GB, great article, very helpful but I see that it is over 2 years old. Is there any plans on doing an update? Torn between the Kevo for proximity activation for the wife with groceries and a keypad for the kids so that they don't have to remember to take a fob or the iTouch with them when they go outside. Thanks for your article. Hi Pat, they only work through security distributors (they don't want self-installation, I'd guess.) Just call around to a few security companies and I'm sure you can track one down! If you're looking for a similar product (keypad with RFID) the Samsung EZON is a good bet! The Kevo does not auto lock, as far as I'm aware. The others have autolock features (which kick in after 30 seconds or so), but they can be disabled easily enough. I don't think it's possible to extend the autolock timeframe, but it can definitely be turned on and off as you require! I heard that the Sunnect AP501AB is the GOD of locks, but I can't seem to purchase this lock anywhere.. What are your thoughts on this lock? And what lock can I purchase that's just as good as the Sunnect. Thank you for time. Hi GB, do any keyless locks have the option to stay unlocked? Like if I'm bringing groceries in from the car or doing work around the house and carrying my phone/fob or punching a code each time would be a hassle. But I also want a lock that can automatically lock after I leave the house and go to work, etc for an extended period of time. Thanks for your help! Hi Eric, I'd highly recommend the Schlage with the optional Nexia subscription. The small monthly fee is a drop in the bucket when you consider the saved time (and gas) going back and forth. Hi Shawna, unfortunately all the door locks with keypads that I'm familiar with currently require a paid subscription. The Schlage would be great for your needs... it'll do everything on your list for free except for remote monitoring and access, which requires a Nexia subscription. Hi Tony, thanks for your comment. Unfortunately, that's a vulnerability in many digital locks. Tricky with vacation homes. In practice I think a prank / malicious code change would be rare. Plus they'd need to know how to disassemble and re-register, which is unlikely. Still, since you already own it, I'd give Samsung a call and see if there's a way to disable that feature. Or pick up a lock with mobile code access (such as Nexia) so you have full control and can monitor access. Hi Fuellord, I think the Kevo is about as strong as any hardware store deadbolt: plenty secure unless you live in a high crime neighbourhood. I haven't heard of the Medeco you mentioned. You could also try the August Smart Lock, which retrofits existing locks... then you just buy the strongest manual deadbolt you can find to go with it! I'm looking for a keyless entry that I can code multiple times for a holiday rental unit to avoid going back each time we have a new tenant. Thanks for the rundown! I'm looking for a keyless lock because I want my kids to each have a code and not to have to carry anything (keys, fobs, cards, or phones) they can lose. This means it needs to be reliable, even in Canadian temperature extremes. As we might need to give codes to tradesmen or cleaning services, we'd also like to be able to tell whose code was used to access the house, and when. Are all these things possible without purchasing a subscription to anything? Thanks! Don't buy the Samsung lock for a holiday home. I bought an SHS-2320 to use on my holiday home which I rent. I hoped to send my clients a PIN number and perhaps an RF tag which would be safer than sending traditional keys in the post. I am very impressed by the convenience of the lock but it is too convenient! Pressing the registration button allows me to register a new PIN and a new RF tag (GOOD!) but pressing the registration button also wipes all previous registrations and allows a new PIN to be typed (BAD!). The RF tag in my work ID badge works with this lock and RF tags are easily available from Amazon. This means that with the press of one button, all the 'keys' that I own are deleted! Similarly, the PIN is wiped simply by pressing the Registration Button and putting in a new one - that's all! 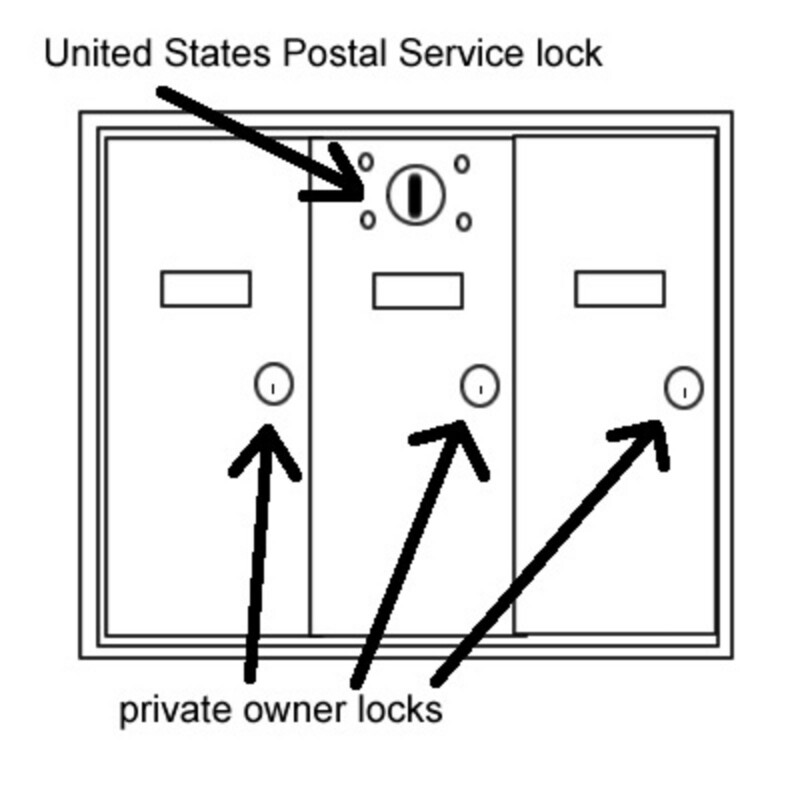 I am concerned that a prankster or a burglar could flip the back off and re-register details and I could no longer open the lock and get into my home. I know that it is always possible for a visitor to change a mechanical lock but to do this they would have to go to a hardware store and buy a screwdriver, tumbler and locking mechanisms, dismantle the current lock and replace it with their own. With the SHS2320, all they have to do it take the back cover off and press a button! It is too easy! If it were possible to disable the registration button, this would make the SHS2320 safer but my advice is that until Samsung tell us how to do this, this lock is too easy to hack. Gadget Boy - We are looking for a very simple electronic key pad for a new vacation rental cottage. The cottage is on a remote island, and once renters are gone we don't worry about their coming back later to re-enter. We'd like the ability to have several codes (one for cleaners, for example), and also the ability to set the pad on "unlock" from the inside so that rental guests don't have to use the pad for routine coming and going during the day. Hi NKM, there aren't many subscription free options, unfortunately. You could get a Z-Wave compatible lock (like the Kwikset SmartCode with Home Connect, which I'll be reviewing here soon), but you'll also need a separate Z-Wave controller for the remote monitoring side of things. Most of those require a subscription fee, though I've heard there are some that don't. You could opt for something like a Kevo or an August Smart Lock, which offer smartphone access and monitoring, but there's no keypad, just a deadbolt. Is there a keypad lock that allows remote entry/monitoring/ that doesn't require a monthly subscription fee? I like the Schlage set up, and am willing to buy a router/hub but do not want to pay an endless monthly fee to have remote monitoring and access. Hi Leonardo, Kwikset claims the Kevo is built to withstand both very hot and cold weather, as well as rain. I mean, don't dunk it, but the external part of the deadbolt should be able to resist rain, as much as any 'normal' deadbolt can. Hi, can the kevo lock system withstand Florida heat and humidity? Our door is in direct sun and its brutally hot in the summer. The lock would be exposed to rain, there is no overhang. Thoughts? Or is there another lock that you would recommend that would be durable enough for hot and wet florida summers? Thanks! Hi Mitch, sorry for the late reply. I'd say the Schlage featured above would be perfect for you. The Nexia provides smartphone access, while the keypad allows entry using a code. The downside is the monthly subscription cost, but it's a powerful system that's worth the money in my opinion. Hi GadgetBoy, I'm looking for a Kevo type deadbolt that also allows my kids to use a keypad, since they don't have phones yet. I also don't feel right giving them a FOB or key, so it would need a keypad. It doesn't look like anything's available yet... any ideas? Hi Guillermo, any of the door locks above could work for you, just make sure each lock is from the same system / company. However, for such specific requirements I would highly recommend hiring a reputable local security company to install and set everything up. Hi gadget Boy. congrats, wonderful recomendations. Im about to finish building my new home, and i want to byt a system for the main door, with and external gate, main door entrance, a second Inside main door, and also an inside garage acces door. i live in mexico city, so i need lots of security, easy to repair or a company that can provide service here and also to be able to give acces facility when needed to my maid chofer, and ofcourse to my two kids. any recomendations?? Hi Robin, the Ezon does have smartphone compatibility, but it's currently blocked in the US (it's a security issue, apparently). So as of right now you can only have one or the other, as far as I'm aware. is there any lock that includes RFID, smart phone connectivity and a keypad? I guess I just want it all. Hi Marilil, for your purposes it sounds like the Schlage Camelot would work the best, go for the Nexia membership to remote monitor, manage codes, etc. They would require periodic battery changes, but the average battery life is about 1 year, so you wouldn't have to change them too often. Hi Denise, 3 point keyless systems do exist, but they're less common, and the best bet is usually to hire a security company to set it up for you. Sorry I can't be more helpful! Hi Dave, not familiar with any keyless system with a double lock. It MIGHT be possible to install an Ezon door handle and a separate Ezon deadbolt and program them both to the same RFID / code, but I'd definitely call Samsung and confirm that before buying. Cant have an article about keyless locks and not mention MiLocks! They have a great selection and are by far the most affordable. They specialize in keyless entry locks. Do you know of any electronic lock systems that are compatible with a Pella 3 point multi-lock system? This is for rental property in Florida and I live in Tennessee, so want to be able to remotely control the lock, change codes between guests, etc. What do you recommend for a small rental property with approximately 25 doors, that can be monitored off site (have iPhone so that could be an option), provide either multiple codes for housekeepers, guests and management. Looking for most cost-effective options with minimal upkeep and easy to operate and that codes can be changed frequently. Being able to track who opens/closes would be great but not vital. It could definitely work! You just need to make sure the lock mechanism is reversible, because if you place it on the inside, you need to ensure the latch faces the right way. I believe all the locks here could work. The other issue is that it places a deadbolt latch on the outside of your house, which isn't exactly secure! For that reason I'd use a handle style lock, rather than a deadbolt. The Anviz L100 may be your best bet! Hi Sara, I don't have direct experience with them but there are some double sided door locks out there. Amazon has one, called the 'Lockey double sided combo lock', which can be set to be always locked. I'd search for that. Another option is the August Smart Lock, which requires a virtual key on your smartphone, and it allows you to remotely monitor when the door is opened. I'm looking for a keyless lock if possible without batteries and double sided keypad so no one can open from outside or inside without entering the code. I need this kind for an Alzheimers patient, as they start wandering. Your suggesting will help me greatly. I'm lost in all these reviews. Hi Boco, most smart locks run on batteries. They DO all have backup keys, but that's cumbersome. If you don't want to deal with battery replacement, an electrician could probably wire up the door with constant power. Although, the batteries do tend to last a long time! Definitely more than 7 weeks between replacements! In the case of the Kevo, the batteries are good for about a year. Hi Jane, not that I'm aware of. It's a tricky situation. One thing you might consider is a smartphone controlled lock, like the August Smart Lock. It opens using virtual keys (or when it detects your smart phone), and it automatically re-locks once you're through the door. Also, I believe it can send alerts if the door is opened at unusual times. And it can be programmed to only be opened during certain times of the day. Worth checking out! Are there any biometric locks that have the keypad on both sides of the door? We're needing to use them on doors that go outside and while we want to keep grandma from getting out, we don't want others to be able to get in! What about using a biometric deadbolt for our application? Hi Jane, yes I am familiar with that one. It's quite good! My only comment is it has difficulty with very fine fingerprints. And biometric door locks occasionally run out of batteries, so I'd keep several copies of the manual key in the house in a safe place. On the whole, though, it's priced very well. Are you familiar with the Adel Trinity-788 Biometric fingerprint door lock? I'm thinking of getting several to keep my 90 yr old mom with Alzheimer's from getting out if the house. What do you think of it? We're replacing our doors and would like to go with multi-point locking systems. Will any of these keyless locks work with that type of mechanism? Hmm... not that I am aware of. Can any of these smart locks be installed as double cylinder locks: locks on both sides of the door? I think Intelock still sells them! Check their website at www . intelock . com (remove the spaces). They don't have online sales, but if you contact them via email they can probably send a list of their retail locations. we have an old Intelock keylesss entry (see intelock.com) that needs replaced after ten years. Can't find anything quite like it. Especially liked that code entry is done by turning the knob. Do you know of anything similar? Gabriel: Yup! The Schlage Touchscreen will do that if you sign up for Nexia. It can alert you each time the door is locked / unlocked. The Kevo does this as well. You can even customize which eKeys will send notifications to you! Hi, hope you can help me, is there a digital lock that can send you email alerts or something like that each time the door opens? I'm afraid I don't know of any keyless door locks for Rockdoor. Keyless units for multi point lock systems aren't very common. It's likely that you could install a traditional style keyless deadbolt (like the Samzung EZON or the Kevo) above the handle assembly. But you'd have to leave the multi point system unlocked, obviously, and that may not be ideal for you. Deadbolts are quite secure, so that could work. Hi, can you recommend a digital/biometric lock for a rockdoor ultimate (vogue) ? This is a multi point locking door where the handle needs to be pulled up prior to being able to lock it. I have been looking at samsungs range which I like but again am unsure they will work. Hey Joe, good points. I dug a little deeper, and apparently the Kevo also comes with a keyless fob which retains the proximity unlock feature! (I knew about the fob, but I had no idea you could proximity unlock with it, that's neat!) I've been pretty impressed with the Kevo, and I'd say it's the best bet. Yeah, I know about smartphones your article already spelled that out. I'm talking about keyfobs. Smartphones have a host of problems - security issues (stalking -- http://arstechnica.com/security/2013/08/no-this-is... , easily cracked -- http://0b4af6cdc2f0c5998459-c0245c5c937c5dedcca3f1... ) as well as being way more bulky than a keyfob. Hi Joe, short answer is yes. If you have a smart phone, there are several locks that will detect when you're close and unlock. I've written an article on iPhone controlled door locks, and several have that feature. Both the Kevo and the August Smart Lock have proximity unlock features. Are there any door locks that work like the "keyless go" locks on modern cars? I want to keep the fob in my pocket and have the door check it when I turn the handle, or at least just press a button on the door - no numeric keypad or anything else. Hi Patty, not off the top of my head, no. Andersen locks are rare enough that no one has entered the keyless market that I'm aware of. If I run across anything I'll re-post. I'd say your best bet would be to contact a local security company... more expensive, but they'll probably be able to customize something to suit your needs. Do you know if there's any kind of keyless lock set for a multi-point locking system? We have an Anderson door and haven't been able to find anything that works with those locks. There aren't too many consumer grade keypad door locks like you describe that don't use batteries. The problem is in installation — it usually requires drilling the door and custom setup, and most companies don't give that kind of installation out of the box. I have two suggestions. First, you can get a custom wired keypad from a locksmith or security company, but it'll cost an arm and a leg. Second, you can ask an electrician to convert one of the above keypad door locks from battery to AC. But that will cost you as well and probably void any warranty. The batteries in the units I suggested all last a really long time, and they warn you when juice is low. They're definitely the more headache free option! Hi, I'm trying to find a keyless door lock that doesn't use batteries and a coded one since I would like to give codes to several people. Which do you recommend? Thanks! Hi Peter, yes, what you're describing is basically what Schlage offers with their Nexia system. You can unlock and re-lock, set up and change codes, audit entry / exits, and check lock status remotely. The Schlage Touchscreen reviewed above is Nexia compatible, and another option is the Schlage LiNK. There IS a small monthly fee involved. There are others like the Kevo that have similar capacity (and free remote access), but they don't include a touchpad. Hi Gadget Boy, I am looking for a keypad lock that can be monitored and the code changed remotely and also has a re-lock function. Would you be able to make a recommendation? Hi Mikhail, no it's not a big concern. First, the app doesn't list your address, so it'd be like finding a set of random keys: the thief won't know which house to go to. Secondly, the Kevo allows you to use a standard key as well, so you can still get into your house. Finally, using the app, you can revoke access. So the minute you lose your phone, you can log in and cancel that virtual key. Wait, so with a Kevo, if you iPhone is lost or stolen you also can not get into your home, while the thief can? Hi Beezkneez, thanks, I appreciate the personal recommendation! I have the Schlage Touchscreen deadbolt and I love it. I love how I can set multiple codes and I feel like the metal is very high quality and durable.